Until 2014 scientists had no reason to believe that bacteria might play any role at all in breast cancer. But then a Canadian, Dr. Gregor Reid, a scientist at Lawson Health Research Institute, felt that since mothers impart bacteria to their children from breast milk, and the longer a mother breast feeds the more protection she gives herself, maybe there were bacterial factors at work in breast cancer. Sure enough, Dr. Reid and his doctoral student Camilla Urbaniak from Western University, Ontario, Canada, showed that your breasts do have their own set of live bacteria – their own micro biome. A second study (June 24th 2016, Applied and Environmental Microbiology) by these researchers looked at how the bacteria in cancerous breasts differ from those in healthy breasts. 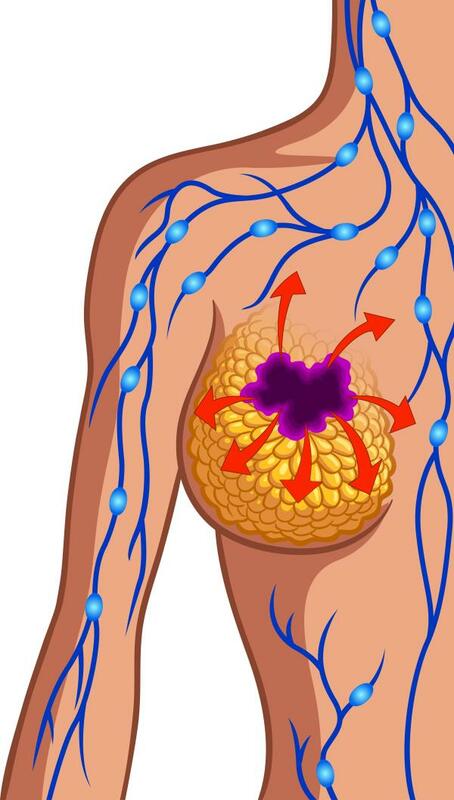 They compared 13 women with benign tumours to 45 who needed lumpectomies or mastectomies, and 23 women who were healthy. Women with breast cancer had much higher levels of Escherichia coli and Staphylococcus epidermidis, both known to induce double-stranded breaks in DNA in cultured human cells (HeLa cells). "Double-strand breaks are the most detrimental type of DNA damage and are caused by genotoxins, reactive oxygen species, and ionizing radiation”, said Lawson. Not surprisingly, Lactobacillus and Streptococcus, thought of as health-promoting bacteria, were more prevalent in the healthy breasts. Both bacteria are known to protect against cancer. For example, Streptococcus thermophilus produces compounds with anti-oxidant properties known to neutralise compounds which can cause DNA damage and thus, cancer. Already, researchers in Spain have shown that oral Lactobacillus probiotics taken during mastitis can find their way to breast tissue within 24 hours – maybe probiotics could correct breast cancer? This article is taken from the new Edition 3 of ‘The Secret Source of Your Good Health’, due to be launched in December 2016.